Father, Bless me to be relentless in pursuit of purpose. No longer will I allow distractions and fear to stop me from succeeding. I completely understand the mandate You have placed on me and I will not allow anything or anybody to prevent me from living the abundant life You envisioned for me. In my relentlessness, my fearlessness and commitment, I am unstoppable and destined to experience stupendous success. Amen. Father, Life’s rainbows are so vibrant! Please don’t let me miss any of the opportunities You have for me. Give me the courage to embrace each one with confidence. Bless me never to give up my hopes and dreams because the plans You have for me are too numerous to count. Each day as I believe in the fulfillment of the rainbows in my life, I will apply Your Word to each circumstance that ensures all my hopes, desires and dreams come true. Amen. Realizing the juxtaposition of who God is as it relates to mankind unveils the truth of why you were created. In this realization of truth you begin to peel back the layers of calluses that have built up over the years from your life experiences. These calluses have become painful reminders of not so pleasant experiences and places. Whenever you go to put on that shoe that appears to fit, these calluses make you cry out with pain. Every so often someone steps on your foot causing excruciating pain to reverberate through your body to the point of being unbearable. These are the press points of hurt, deception and lies that prevent you from fulfilling your potential. The area where the density of the callus is the most severe is where pressure is applied the most. For years I had a corn that formed between my fourth and baby toe. When it first started to grow and cause excruciating pain I was miserable. All I could wear was an oversized sneaker or a soft house shoe. The lightest touch would send pain riveting through my body. I tried different things to stop it from hurting, but to no avail. Then one day someone suggested I visit their podiatrist. I scheduled an appointment and went there. As the podiatrist looked between my toes he realized that unbeknownst to me I had broken my baby toe at some point and a corn had formed. The corn had grown so much it was beginning to appear as though I had webbed feet. Needless to say, the podiatrist began to clean out the corned area. There was so much built up dead skin that it seemed as though it took forever. He would cut. He would scrap. He would dig all with the express purpose of getting rid of the dead skin that had built up. Suddenly he was finished! I immediately noticed that all the hurt and pain was gone. Between my toes was clean as a whistle. There was absolutely no pain. It was that quick. The corn had been removed and the pain ceased. Oftentimes we endure the pain from the corns and calluses of life because we don’t know how to stop it. It is as simple as scheduling a visit with God, your spiritual podiatrist who scraps, cuts and digs out all those corns and calluses causing you so much hurt and pain. In an instance, the pain ceases. Subsequent visits to the podiatrist I paid careful attention to the tools he used and I closely watched what He did. The next time the corn returned I got my tools and started doing what the podiatrist had done. Overtime and repeated cutting away of the dead skin that would occasionally form between my toes, the problem was alleviated. The toe claimed to have been broken was never repaired. However, routinely cutting, scrapping and digging caused the corn to go away forever.To get rid of those dead issues, people and things you have to cut, scrap and dig them out so they can no longer cause you pain and thwart your progress. Your success is in your daily routine. When you routinely speed time reading His Word, in prayerful communication with Him, and applying the blood of Jesus those corns and calluses of life disappears. Just like the corns between my toes that don’t come back, the corns and calluses in your life won’t either and you won’t have to endure the pain anymore. It has to do with teaming up with God and doing what needs to be done to ensure they never come back again. God has already cut out the corns and calluses for you. Now all you have to do is walk in total victory. 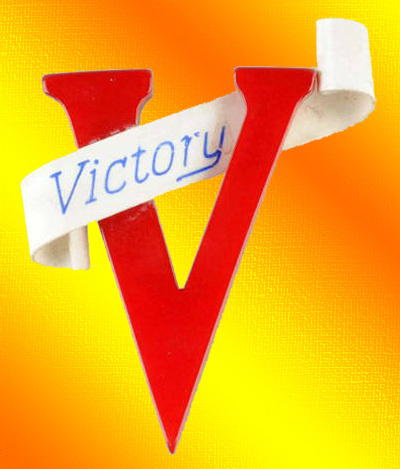 Experience victory in every area! Join me for a complimentary coaching session @ The ME Place Mentor Empowerment Institute. Father, I need you to cut away those dead issues in my life with the express purpose to cause pain and prevent me from being all you created me to be. Teach me how to apply your Word to these circumstances so they will no longer cause me pain and anguish. I am so dependent on you. Each day I will seek you for instruction and guidance as you propel me to walk in unimaginable success I have only dreamed about, but You envisioned for me from the beginning of time. Amen. Father, Thank You for Your loving chastening. Although I may think You have turned a deaf ear to me because You are not answering me, I know You are teaching me. Bless me to learn how to seek You before I make a mess of things. I am tired of being in this mess. I fill I am locked away and have no way to get out. Please forgive me for not listening to You before now. Because You made me wait, it has provided me time to think about my actions and make better decisions. I thank You Lord and I love you. Amen. Father, My dominant gift requires nurturing in order for my dreams to come dreams. Cast out the fear that has been a stumbling block to my success. You creatively carved out a path for my success that is inherent in the invisibility of my dreams becoming visible. It may not appear as though I’m going down that path, but help me to relinquish self-imposed limitations as I take a step towards fulfillment of my dreams. Amen. Father, Use me as a vessel to touch others. Although they may appear to have it all together, underneath their spirits are crying out. Bless me with Your spirit of discernment to look beyond the mask and to see what You see so I can help others in overcoming difficult situations. Amen. Father, When I ask I receive, when I seek I find it and when I knock doors are open to me. Long as I say nothing, don’t move and do nothing, I will not be able to experience the fullness of who You created me to be. I will ask! I will seek! I will knock! I will receive! I will find! And I will walk confidently through the massive doors of opportunity that are flung open to me! Amen. Father, You know what I love! I love it when I team up with You and burst through barriers and do whatever I need to do! That is powerful success! The only way I knock procrastination out is to do whatever You tell me to do and do it right now. I recognize it for what it is and remember I can do all things through Christ that strengthens me. I am more than a conqueror through You who loves me. I scored a TKO! Amen! Father, There is so much You placed inside of me waiting to burst forth. I’m grateful for those You have assigned to help me birth out my purpose. I’m excited about this divine connection that You have brought together and know that only great things awaits me as my purpose is ignited to become all You envisioned. Amen. Father, Sometimes my perspective is skewed and I find myself gazing back and longing for the familiar. Bless me to keep my focus on You as I continue down the path You have set before me. I won’t look back and I won’t have any regrets. The past is nothing but the past. But my future is staring me in the face beckoning me to new opportunities as I expect nothing but great things to happen. Amen.